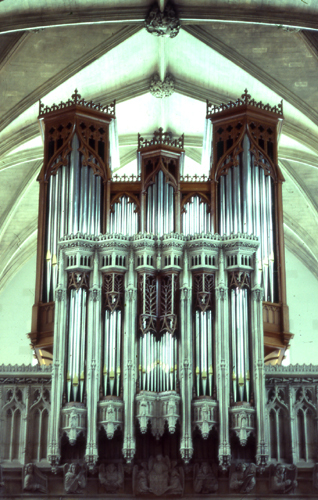 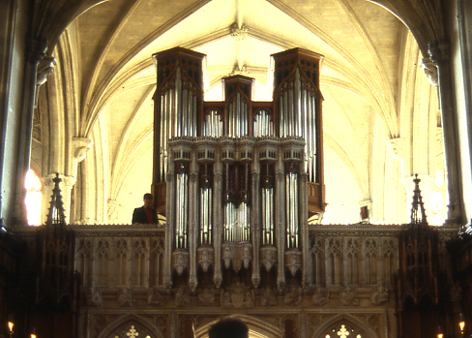 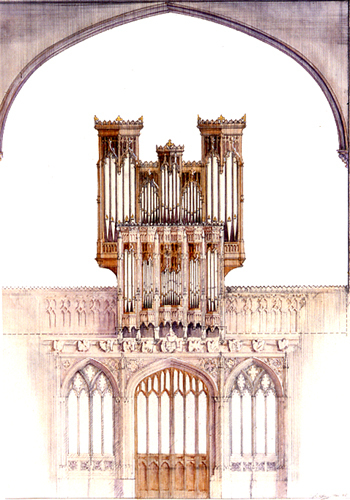 In 1982 N P Mander Ltd were commissioned by the College to design and install a new organ, better suited to the high musical standards of the College's Chapel Choir and the architectural character of the historic building. 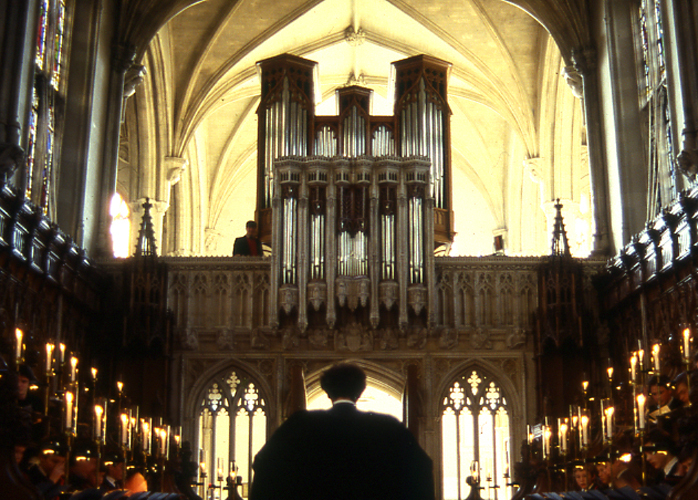 The Chapel dates from the College's foundation in the 15th Century, but has been extensively refitted over the centuries, most recently in the early 19th Century by John Cottingham who designed the finely carved stone screen and reredos in a refined Gothic style. 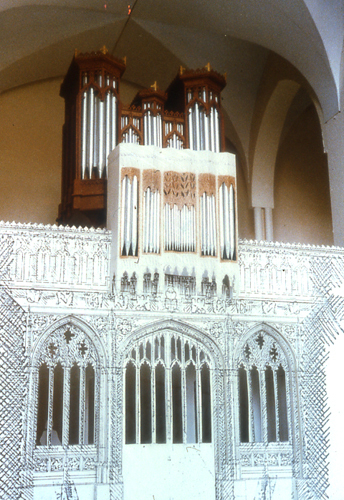 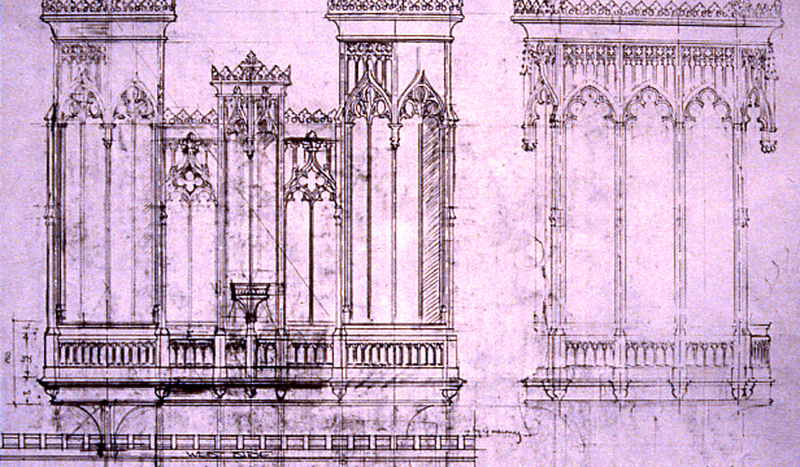 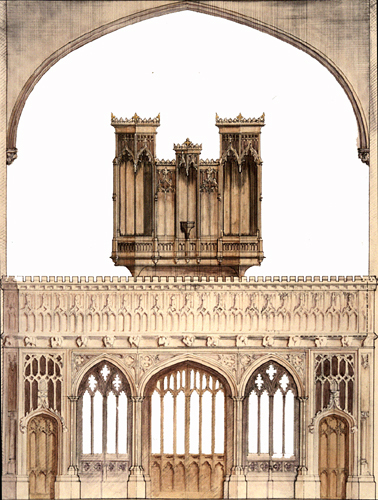 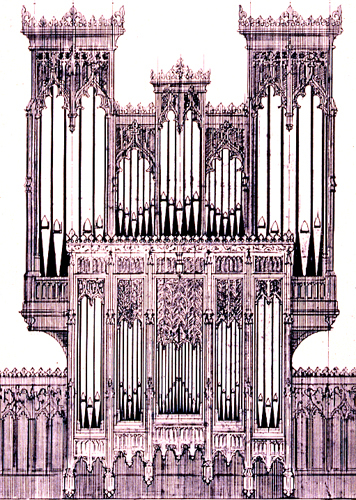 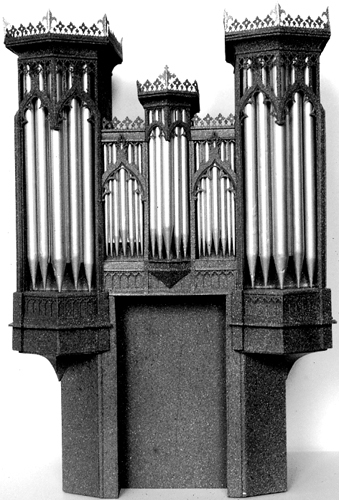 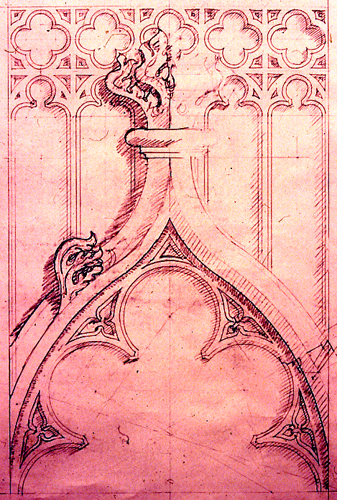 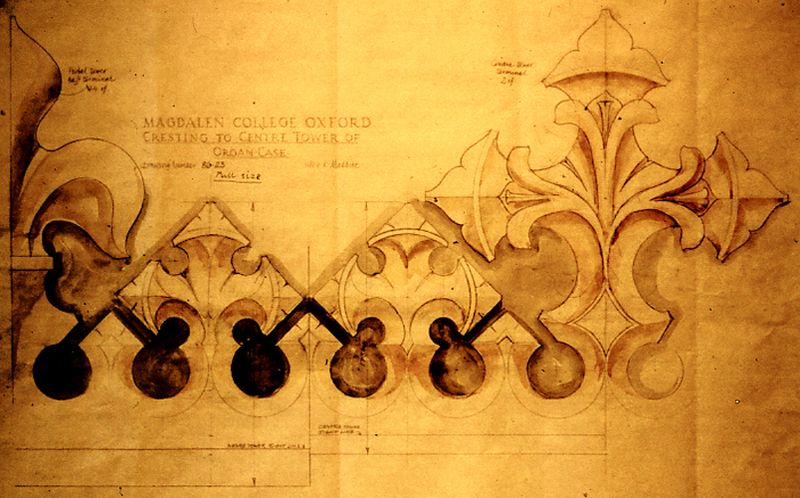 Julian Bicknell was asked to design the casework for the new organ, which has three departments: the pipework of the 'Principal' department is housed in the remarkable stone casework of Cottingham's screen; the 'Echo' and 'Pedal' departments are mounted in the new oak case, whose design responds to the detail and atmosphere of the building with its vigorously articulated forms, elaborate geometries and rich carving. 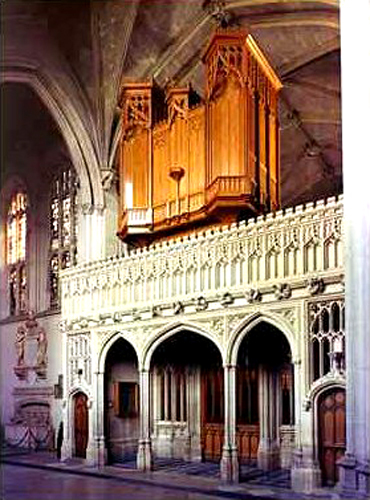 The organ is designed and built to the most exacting musical standards with a traditional mechanical action and no false pipework. 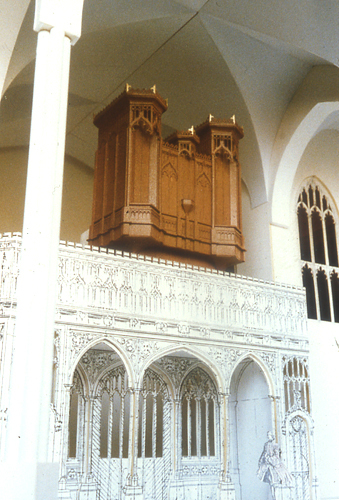 The design successfully solves both the musical and architectural problems. 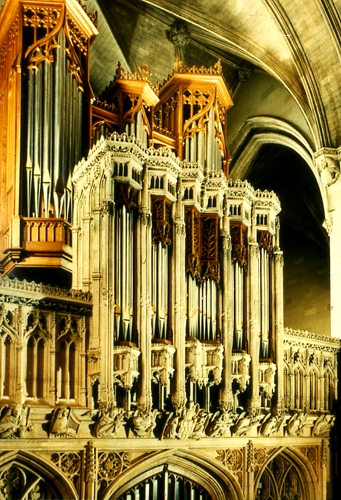 The organ was completed in 1986 and is frequently used for BBC broadcasts.